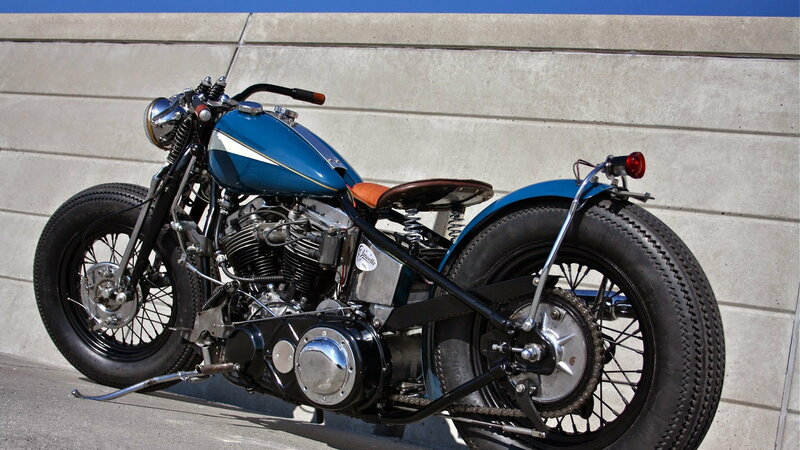 Daily Slideshow: This dialed Danish Bobber was built from a basket case chopper. 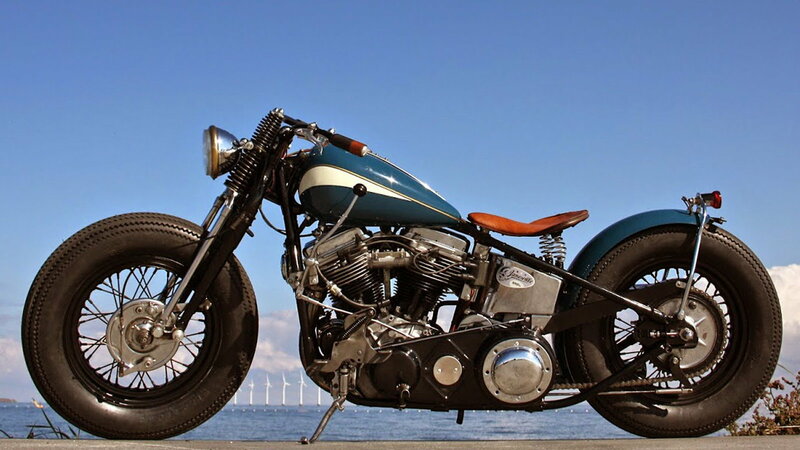 This 1948 Panhead Bobber did not always look so good. In fact, it once was a beat-up old chopper with a toasted motor. Out of that chopper, James Roper-Caldbeck built this Bobber — saving the Panhead from an almost certain future in the parts bin. 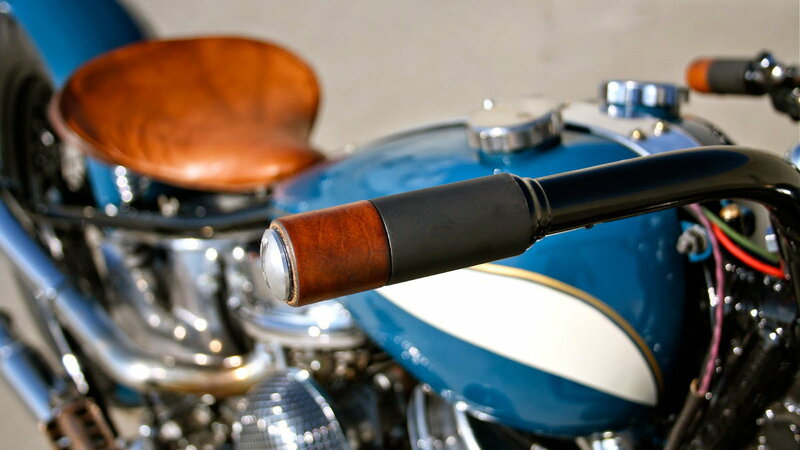 Originally from England, Roper-Caldbeck runs Jamesville Motorcycles in Copenhagen, Denmark. Complete Panheads are not exactly common in Europe. Working with what he could source, Roper-Caldbeck bought a 'running' Panhead chopper as the starting point for his project. Dedicated to rebuilding and customizing vintage Harley-Davidson motorcycles, Roper-Caldbeck is well known in Europe for his high quality builds. This particular Bobber was featured in Greasy Kulture Magazine #38. 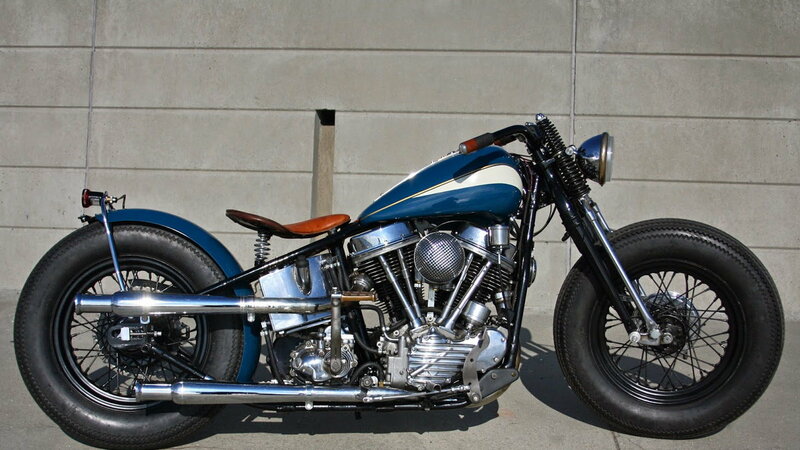 >>Join in on the conversation about this classic Panhead right here in HDForums.com. According to Roper-Caldbeck, the 61 cubic-inch donor motor was a real mess. The main bearing, along with all the other bearings, were falling apart. The worst damage was the from the rear piston pin coming loose and letting the piston gouge the cylinder wall. The donor chopper was subsequently torn apart, and the first-year Panhead motor was brought back to its factory tolerances with a complete rebuild. The trail of destruction continued on the Panhead chopper-turned Bobber. Once the frame had been sorted, Roper-Caldbeck turned his attention to the cracked rods on the Springer front end. With the engine, frame, and front end complete, the build was on its way. Once reassembled, the motor was fitted with straight pipes and Cocktail Shaker mufflers for that all-important potato-potato cadence. The last on the 'fix it' list was the handlebars. The chopper bars were so wide Roper-Caldbeck had to cut-down them down. He recalled, “I fabricated a new set of bars from the old ones...they were so wide I couldn’t get them through my shop door!” The 3.5-gallon tanks were also narrowed, and an aluminum dash was fabricated to hold the ignition switch and warning lights. 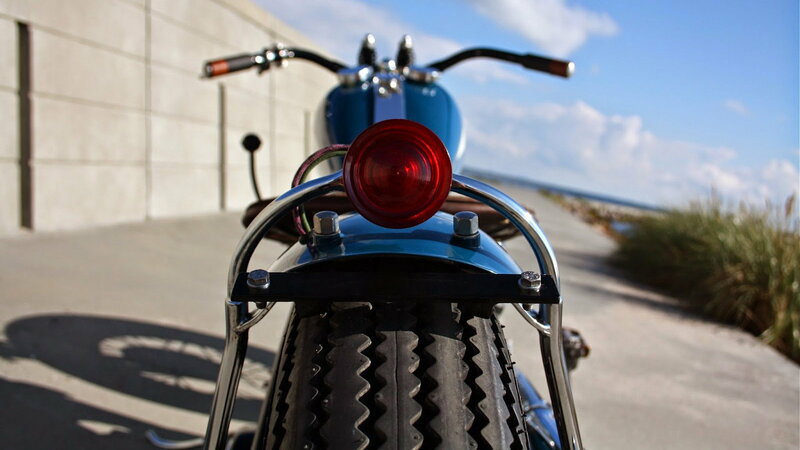 Little details make this 1948 Panhead Bobber stand out. The original seat pan was chop-down and covered with tan leather from an old suitcase giving it a vintage look. 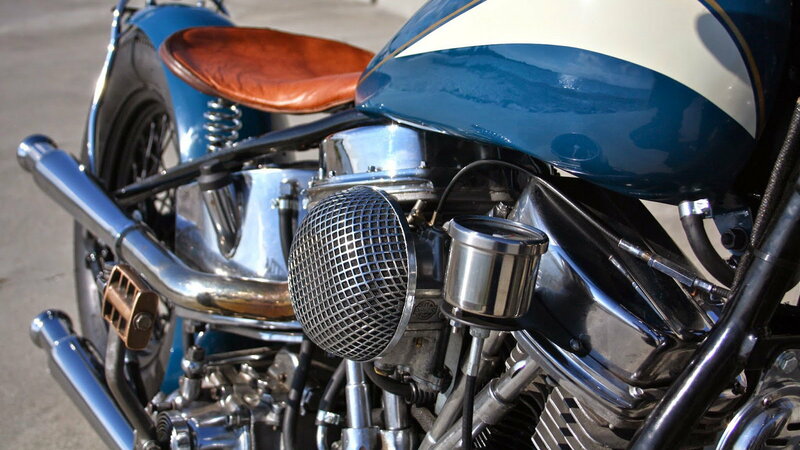 The foot controls and brake brackets were de-chromed and Parkerized — a period-correct finish. In keeping with the look, Roper-Caldbeck then rewired the whole bike using vintage-style cloth wire. Final build touches were numerous. 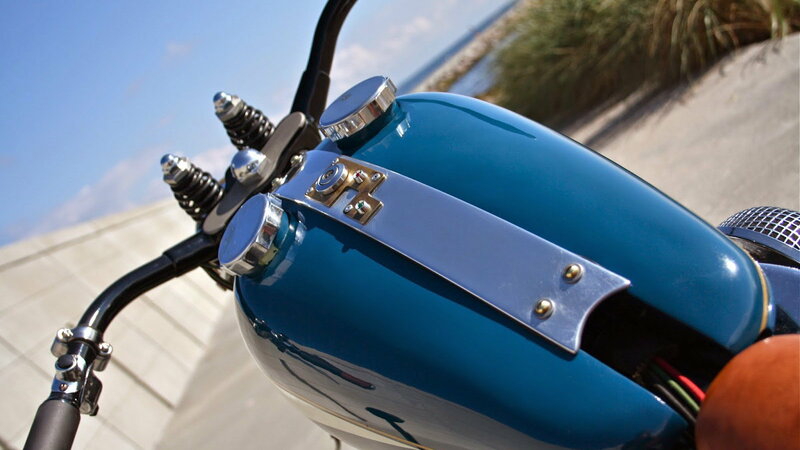 The Bobber was converted to a foot clutch with a police-style shifter. A mini sissy bar was fabricated to hold the vintage taillight, and a 1930s Ford spare wheel cover was reconfigured as a rear fender. 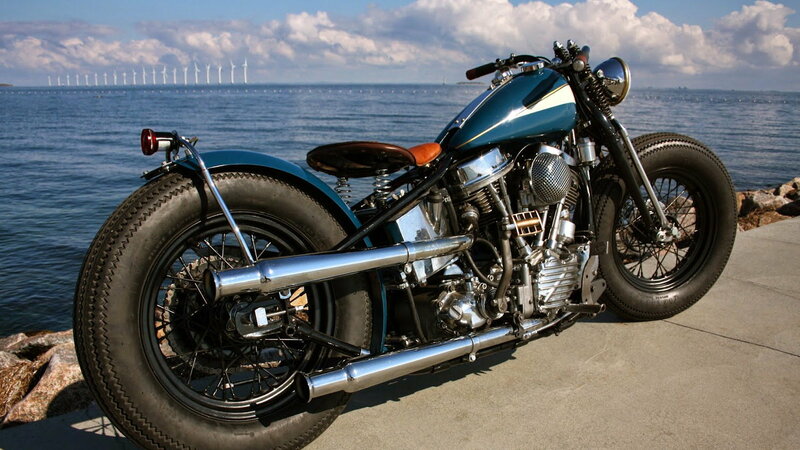 Like most of Roper-Caldbeck's builds, the Bobber was a commission. This Panhead was no exception and now gets a new lease-on-life in the hands of a happy customer.